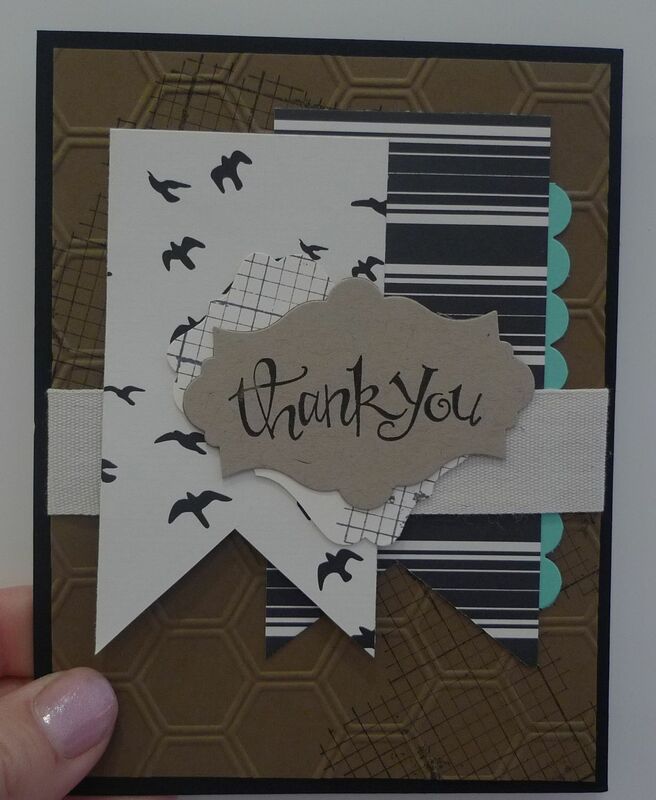 Karina's Kreations: Off the Grid Swap Card! Off the Grid Swap Card! Check out this cute card!!!! The designer is unknown because I only took a picture of the front of the card so please email me if you know who stamped it!! I really wanted to use my new Off the Grid stamp set #130736 but it's missing!!! I tucked it away someplace safe and it will show up when I'm not looking for it! Does that ever happen to you? I hope you'll try to make this card. It's quick and super cute!